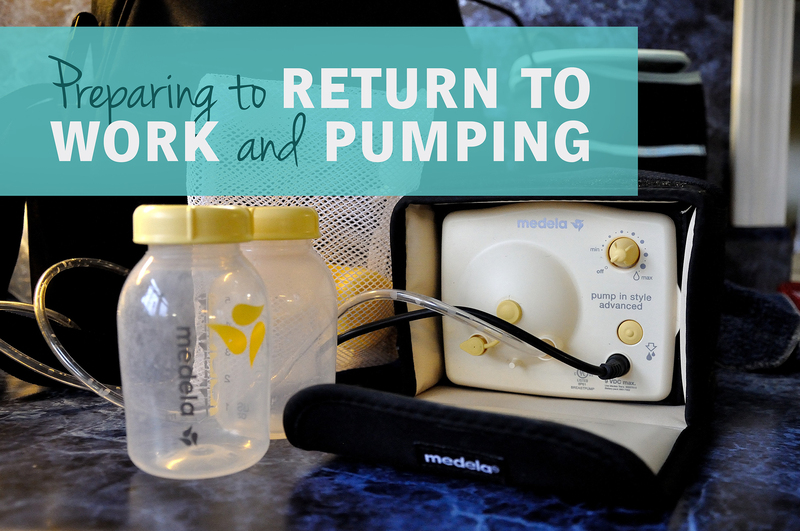 Continuing with my breastfeeding series with my experiences breastfeeding, returning to work and ultimately deciding to and transitioning to exclusively pumping! 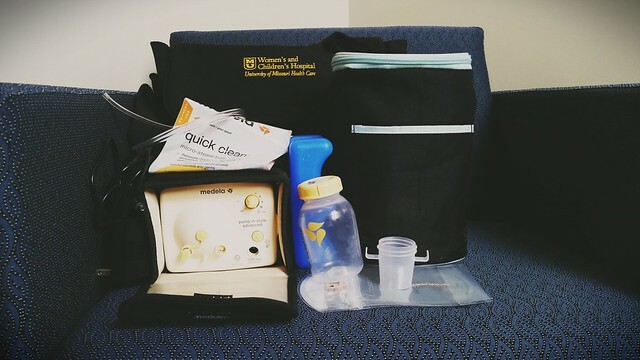 If you are just catching up, here is Part 1: What do I need for breastfeeding and pumping? 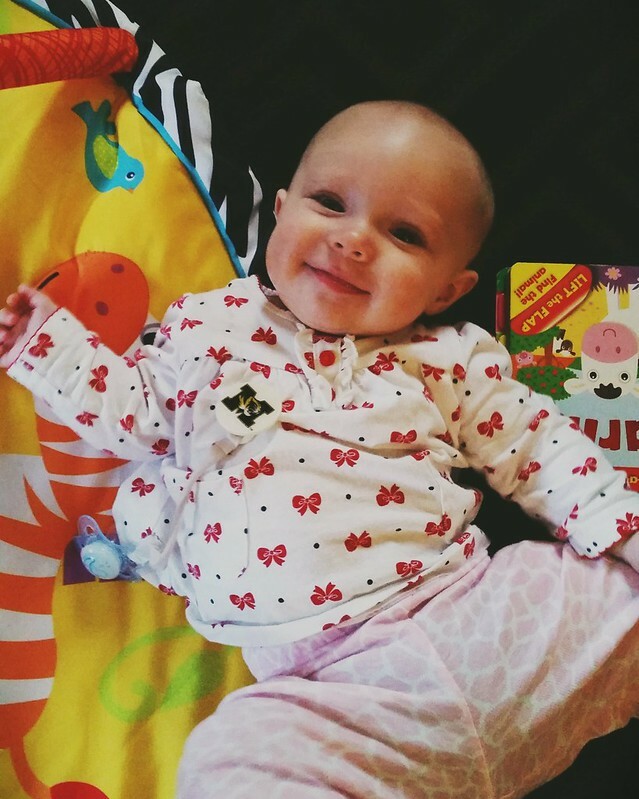 It was my goal to continue breastfeeding for a year. 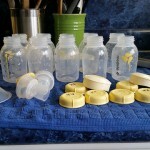 I knew Kaitlan would be bottlefed at daycare, and before returning to work, I planned out how I could produce enough bottles for the next day and still breastfeed in the evening. However, soon after returning to work, and trying to reincorporate other activities and commitments, like CrossFit, coaching, friends, or basically do anything, it became pretty difficult to manage. So I made the difficult choice to move to exclusive pumping. It was really hard at the time, but honestly I’m so happy I made the choice, it’s been so much easier! Kaitlan took easily to bottles right around 3 weeks, and we noticed immediately that she seemed much happier than when she tried to latch. It was nice to share feeding duties with Neil and she was so much happier because she was actually getting full. It’s been great for us. Start formulating what your morning and daily pumping schedule might look like and practice ahead of time. I calculated that to wake-up, pump, get ready, pack bags, and get Kaitlan ready would require me to wake up at 5 am each morning. Yeah, ouch. But it’s doable. I pump for 20 minutes, grab a quick snack, hop in the shower, get ready, take her from Neil and get everything packed up.At work, I knew I’d have to pump every 2-3 hours, so I decided that 8, 10, 12:30, 2, and 4 would be best. Obviously with meetings and daily commitments, this can vary slightly, but my coworkers understand and I’ve been able to prioritize both my work and maintaining supply. Stockpile milk. I highly recommend pumping and freezing whatever you can while on leave. 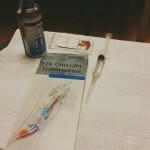 I pumped after each of my AM nursing sessions with the most success, but every little bit helps! Identify formula for supplementation (optional). We not only stockpiled milk, but identified a formula that agreed with her as a back-up. Each provider was given a box, which ended up being a mistake because we had NO idea how fast it expired ($$$). So now, we just keep these awesome little Similac packets in the diaper bag. This way if she is extra hungry, or there is bad weather, we have something that works in a pinch. Check in at work. Make sure your boss and relevant coworkers know your plans and that you know where your pump place is. This is not an easy conversation to have. While many states/employers are making great strides in realizing how important breastfeeding/breast milk is, not everyone agrees or has caught up yet. Breast pump. I highly recommend a double electric pump. Cuts time and gets you back to work fairly quickly (15-20 minutes for me typically). I have the Medela Pump in Style Advanced. You can learn more about how I obtained my breast pump here. Bottles and storage bags. You’ll obviously need bottles made for whatever pump you choose, but the bags you choose are kind of up to you. While I like the sturdiness of the Medela bags, the generic Target Up & Up bags are seriously the best bang for buck. Wipes, soap and bottle brushes. I store my flange in the fridge throughout the day, rinsing it after each use. But at the end of the day, I wash it out before leaving work. I highly recommend these brushes and wipes to clean the tiny pieces. I also love these steam bags. Cooler and ice pack. You can sometimes get these as part of the package with your pump, but you can also make your own with a lunch bag and extra cooler packs. Permanent marker. Marking bags with dates and amount pumped. 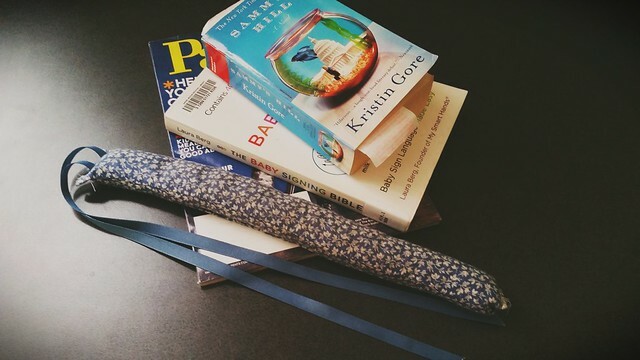 Book weights: I’ve been doing a lot of reading while pumping and while I love my Nook, I also love physical books. I’ve got two different types of weights and they reading while pumping in a variety of locations super easy. Thanks mom for the help! Podcasts: I’m a total podcast junkie — here are a few of my favorites (need to make an updated list). Hopefully this isn’t all too overwhelming. Returning to work is stressful, and I know from experience that there is so much going through your mind as you prepare, especially if you end up going back fairly early like I did. All I can say is that going into pumping with an open mind is important, and knowing it will get better is critical. Your body may need some coercing and time to adapt, but it will happen, and some days are better than others, but just keep plugging — and pumping! I think getting in enough sessions is key. I could only fit in two (maybe three sometimes) sessions a day, and it just wasn’t enough to keep up. I’m still able to breastfeed at home and through the night. I was keeping up on weekends through 6 months for sure (maybe 7? 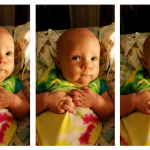 I forget), but my gal has still increased her milk intake even as she’s been eating solids. Kudos to you for all your hard work! This list of tips is excellent (wish I had known about the book weights!). I did most of it. Also, those similac packets are super awesome for traveling. We keep a bottle filled with water (our gal will only drink room temp or warm milk) in the diaper bag and can just dump a tube in. Excellent for the airplane or car trip! This post is ironic (I finished it about a month ago, just got lazy) because I’m in the process of weaning, so I guess I’ll have to do a post on that a well. The packets are super awesome, and now we leave room temperature filtered water on the counter for her formula. She is drinking a little water (sometimes she just doesn’t want any kind of milk) and so we go into the next stage!